As a strata owner, electricity can quickly become a significant overhead for your complex. Thanks to technologies like embedded networks and solar however, you have the opportunity to turn the electricity expense you’re already paying for, into a money-saving asset for your building. In a traditional non-embedded network design, each individual apartment has its own connection point to the local network. By aggregating usage of all individual units within the development and incorporating an embedded network, an opportunity exists for the strata owner to gain access to the wholesale energy market for a bulk electricity purchase. As a result, the collective group purchase can attract a cheaper rate than what is available to individuals. The strata owner can choose to pass through electricity at cost and reduce the individual owner’s/tenant’s energy rate, creating a unique selling point for potential tenants; or to charge at the applicable gazetted tariff to generate a revenue stream. This revenue can be used to offset levies, further contribute to a sinking fund, or pay for upgrades to increase the attractiveness of the site. Approved electricity retailers will design, install, own and maintain an embedded network on behalf of the site’s owner, becoming responsible for all billing functions. Installing a large scale solar system alongside an embedded network can produce additional savings, displacing a large portion of the electricity you would need to buy from the grid. Like an embedded network, a revenue opportunity exists due to the cost difference between solar generation, which is technically free, and the rate at which individual owners are billed for power. To take the pressure off buying a solar system outright, options like Power Purchase Agreements (PPA) are available. With a PPA, your provider will take on full ownership and maintenance of the solar system on your roof. You’ll pay $0 upfront for the system, and lock in a low solar electricity rate for the entirety of the agreed upon term. At the end of the term, ownership of the system will transfer to you, and you will benefit from all the free energy your solar system produces for the remainder of its lifetime (at least 25 years for quality systems). Additional benefits of solar embedded generation include improved energy efficiency due to roofing insulation; increased NABERS rating and environment credentials; as well as showcasing your building’s focus on sustainability by providing a strong visual environmental statement. When utilising a finance option like a PPA, electricity stops being a major expense for your strata building. The amount you would have spent on electricity is not only significantly reduced, but also working towards paying off a future money generating asset – your solar PV system. Investing in a solar PV system can also provide free electricity for EV Chargers, which can help set your property apart. With significant decreases in upfront costs predicted over the next 5 to 10 years, in addition to superior performance, and substantially lower running and servicing/maintenance costs than their diesel/petrol counterparts, Electric Vehicles are expected to quickly dominate the market. Investing in EV Charging Stations for your apartment complex can appeal to prospective residents/tenants who currently own an EV, or are considering purchasing one in the future. With the uptake of electric vehicles expected to increase rapidly in Australia in the coming years, EV Charging Stations will soon become an expected standard. Installing charging stations can also help your property increase its green/sustainability ratings, and create an eco-friendly, technologically progressive reputation. Most EV Charger providers offer a fully managed service including ongoing support, insurance, maintenance and billing at no cost to building management or association. Your provider will also automatically reimburse any costs you incur, and because the software we use is automatic, you don’t have to worry about chasing up tenants who do not pay on time. Thanks to innovative energy solutions like embedded networks and solar PPAs, high electricity costs no longer have to be a concern for strata complexes. Investing in renewable technologies will not only create revenue for your building, it will also attract tenants, and increase your complex’s value. Research has shown that properties with sustainable features sell or rent for a premium. A study by Courier-Mail revealed sustainable properties in Brisbane sell for an average 11.5% above the Brisbane median, while properties with three or more sustainable features are selling for an even higher 19% above the Brisbane median. 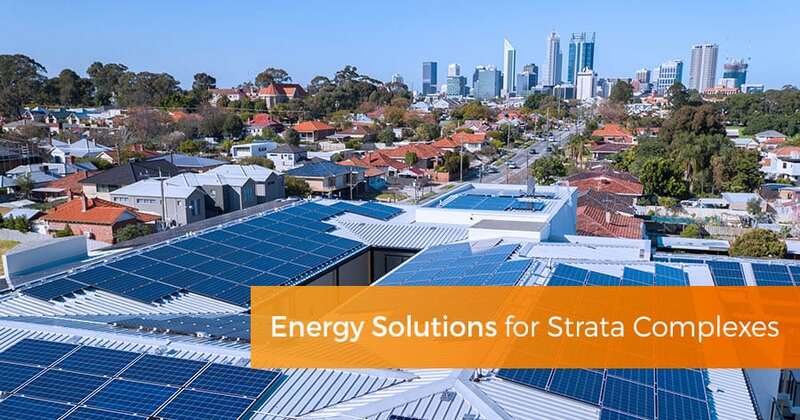 To learn more about energy solutions for strata complexes, including embedded networks, solar, and EV chargers, click here, or give us a call on 1300 074 669.